It's definitely a field of dreams, but instead of building a ball field in a corn field, Illinois corn farmers are growing corn in a ball field. 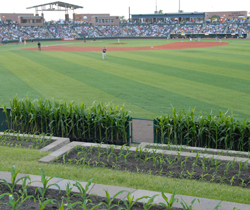 As part of the landscaping at the new home for the Normal CornBelters, the Corn Crib has small plots of corn planted under the scoreboard. "We wanted to show as much as we could actually what corn is," said Illinois Corn Growers Field Services Director Jim Tarmann. "So, we've got six different mini-plots of field corn that are already coming up and we planted that ourselves." Local FFA chapters are growing specialty corn, including popcorn and sweet corn, that will be worked into the as-yet-unfinished landscape in and around the ball park. Pioneer and Syngenta are also part of that project as co-sponsors of the new team and stadium. Jim says the Illinois beef and pork producers and Prairie Farms are sponsors as well. 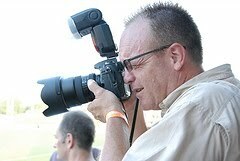 "We're all very excited about this new venue to talk about modern production agriculture," he said during an interview with Cindy Zimmerman, AgWired, in the Illinois Corn Growers office the morning following the game. Nearly 6,000 fans attended the opening home game Tuesday night against the Windy City Thunderbolts, and even though the Cornbelters lost the game 3-2, it was an exciting game in the end and everyone had a great time. 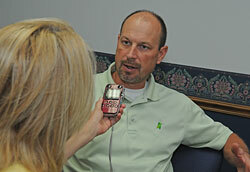 Listen to the interview with Jim here (mp3).